Countless number of Baylor alumni return to campus throughout the year to reflect and remember the wonderful times they had while being a student. Many of those alumni tell us they remember sporting events, social events, major milestones and life events. One of the stories I will always cherish is talking to a husband and wife (who were alumni and one was a Baylor faculty member as well) who pointed to the tree where “he proposed and I accepted” …it is a great story for the ages. Many alumni return seeking out their favorite faculty member who mentored, influenced and cared about them during their Baylor experience. Robbins College faculty are a group of talented people who care about their students and have answered God’s call on their lives. I share repeatedly with the parents of prospective students that our faculty are going to prepare your daughter or son for their profession and enable them to understand and respond to their calling. We have accredited programs, we have a rigorous curriculum and have high expectations for our students in and out of the classroom. And we do all of this while holding firm the mission of Baylor University “to educate men and women for worldwide leadership and service by integrating academic excellence and Christian commitment within a caring community". The wonderment of Baylor University and Robbins College is simply that we are a Christian, research university that strongly supports teaching and preparation of students to be successful professionals that make an impact. We can do this work in Robbins College because we have the faculty that can lead, serve and help our students to be successful. Though we know our faculty are talented, another confirmation of their abilities is recognition by their peers. Being recognized by your peers within your discipline is a great honor for a faculty member which also brings prestige to the institution. The stories below are highlights of a portion of our faculty who have been recognized by their peers for significant contributions to their profession and Baylor. Some identified as promising scholars, some as leaders in their discipline, others landing grants and receiving prestigious awards. The stories below demonstrate the quality people we have in Robbins College and I hope they cause you to reflect during this holiday season on some of the faculty you worked with and learned from during your time at Baylor. Now more than ever it is easy to connect with some of the faculty that inspired you. Though honors and recognitions are wonderful for faculty to receive, receiving an email or connecting with former students through social media is one of the greatest rewards for a faculty member. Knowing you made an impact in the life of a student and that impact has continued over the years is what motivates faculty to continue to serve their students. Please let them know how they inspired you when you have a chance, they would love to hear from you. The Office of the Vice Provost for Research at Baylor University has announced the 2017-2018 class of the Rising Stars Fellowship program. Selected from nominations provided by their deans, Rising Stars represent faculty from a range of disciplines, including the sciences, the arts and humanities and the professional schools. The Fellows participate in an intensive mentorship program designed to provide them the skills needed to successfully pursue external research funding, produce scholarly publications and partner with collaborators across disciplines and at other academic institutions. Rising Stars nominations are based on research record and potential for recognition in their field of study. Faculty selected for the program are provided instruction and support in the development of proposals to be submitted to external funding sources, introduced to past Rising Stars cohorts to aid in the development of interdisciplinary research and introduced to external advisers who provide mentorship and information. 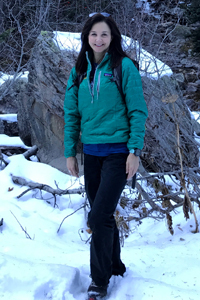 Kelli McMahan, Ph.D., associate clinical professor and coordinator of outdoor education and leadership at Baylor University, has been announced as the 2017 recipient of the Paul K. Petzoldt Leadership Award. McMahan was granted the award at the Wilderness Education Association (WEA)’s 40th anniversary international conference on Outdoor Leadership in Jackson, Wyoming, on Oct. 26. 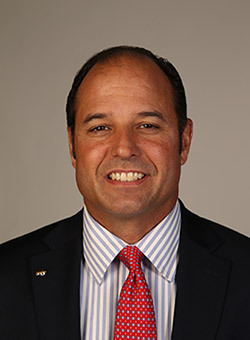 The Paul K. Petzoldt Leadership award acknowledges significant contributions to the field of outdoor leadership, outstanding influence within the profession and knowledge of the WEA and founder Paul Petzoldt. 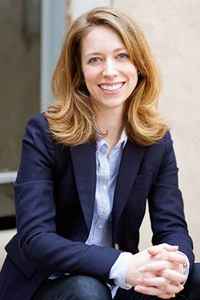 McMahan earned her bachelor’s degree from Baylor University (’93), her master’s degree from Oklahoma State University (’98) and her doctorate in recreation, park and tourism sciences from Texas A&M University (’15). Petzoldt, an accomplished mountaineer, founded the National Outdoor Leadership School (NOLS) in 1965. Since then, more than 285,000 students have graduated from the school. Before the establishment of NOLS, Petzoldt helped create the Colorado addition to the Outward Bound program, an international, non-profit, independent outdoor-education organization. Petzoldt’s experience in NOLS and Outward Bound and his love of outdoor learning evolved into the Wilderness Education Association. Elise King, assistant professor of interior design in Baylor University’s Robbins College of Health and Human Sciences, and David Lin, Ph.D., associate professor of computer science in the School of Engineering and Computer Science, have been awarded a Digital Humanities Advancement Grant from the National Endowment for the Humanities (NEH) to expand and develop their prototype for an open-source system that reads and analyzes floor plans automatically. The project — “Digital Floor Plan Database: A New Method for Analyzing Architecture” — will allow users to compare thousands of plans to discover common design elements, examine spatial relationships over time and mine for patterns across datasets. The NEH, which will fund the project for Building Database and Analytics System (BuDAS) through 2019, is an independent grant-making agency of the U.S. government dedicated to supporting research, education, preservation and public programs in the humanities. The digital grants support the implementation of innovative digital humanities projects that have successfully completed a start-up phase and demonstrated their value to the field. King and Lin say that those who design and study the built environment are hindered currently by an inability to examine large datasets of architectural drawings. Despite advancements in image recognition, no integrated system can store, read and analyze floor plans. To solve this problem, the researchers are developing the BuDAS to partially automate the process of floor plan analysis. “While floor plans are information-rich architectural drawings, analyzing them manually is challenging,” King said. For example, a prolific architect like the renowned Frank Lloyd Wright designed more than 1,000 buildings, many which have multiple plans, she said. But expanding King and Lin’s prototype into an integrated open source system — with image recognition software for automatic floor plan detection, a database for the storage and management of data and advanced query and graphing tools — can be a solution for those problems. “These findings will allow for a deeper understanding of the trends and patterns of space usage and the relationship between buildings and human experience,” King said. King and Lin have partnered with Alexander Architectural Archives at the University of Texas at Austin to use the William A. Storrer papers as the sample for the project. Those papers include one of the most comprehensive and detailed collections of floor plans by Frank Lloyd Wright. Baylor students from interior design, computer science and history have worked on the prototype and research for BuDAS, which also received support from an Undergraduate Research and Scholarly Achievement grant. The NEH announced $1.6 million to support 13 digital grants, which only have a 13 percent acceptance rate. This marks the first time Baylor has received a digital grant from NEH. 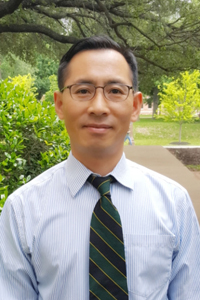 Jungjun Park, Ph.D., graduate program director and associate professor of communication sciences and disorders in the Robbins College of Health and Human Sciences, has been selected as the 2017 Baylor Centennial Professors by the Centennial Faculty Development Review Committee. Created by the Baylor Centennial Class of 1945, the award provides tenured professors with $5,000 for research projects to aid with more in-depth study in his or her field. Park’s project is focused on constructing a bilingual database of language samples to serve school-based speech-language pathologists and graduate educators nationwide for their professional clinical training activities. The database will include video recordings of bilingual public school children from multiple states, particularly English language learners speaking Cantonese, Mandarin, Tagalog, Korean and Vietnamese as their primary language.